If you are running any kind of digital marketing for your business, you have likely found yourself at a crossroads trying to decide whether to go with paid search or paid social efforts. Search engine marketing (SEM) reaches bottom of the funnel users who are actively seeking for your product, while paid social allows you to capture new users who most likely would have never stumbled across your brand. Which method is better for your business? The answer is both. Instead of creating a marketing plan that only utilizes one of the two strategies, begin by marrying the two. As paid social quickly becomes one of the most influential digital marketing techniques used today, it is crucial to understand how to integrate it into your overall marketing strategy. Having a presence on both search and social platforms is beneficial because it allows you to create a full customer journey. 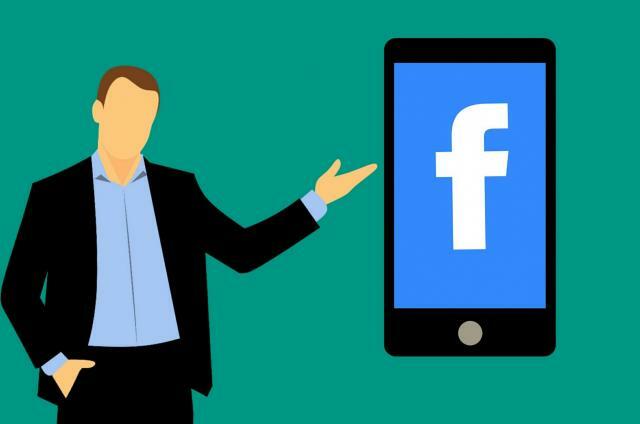 With Facebook, you can create targeted audiences based on your ideal customer persona and promote cold offers to users who are not actively looking for what you have to offer, but still may be interested in what you have to say. By hooking these people with your unique value propositions, you have just created the top of your funnel. The middle of the funnel allows people who are interested and have engaged with your brand to continue through the process, while Google Ads is used to seal the deal in the bottom of the funnel. Let’s break out these phases further. You may know your target audience, but Facebook really knows your target audience. Thanks to Facebook targeting, you can create specific content for different groups of users you would like to show your ads to. Begin your marketing strategy by thinking of a top-of-funnel offer or promotion you would like to run for users who have potentially never heard of your brand before. From there, create a Consideration Campaign in Facebook optimized for either Engagement or Video Views. When building out your ad sets, be sure to limit yourself to one audience per ad group so you can have a better idea how different audiences react to your ads and make optimizations accordingly. After you have created your top of the funnel, you will want a campaign for these users to flow into. I present to you, the Middle of The Funnel offer. This campaign consists of remarketing efforts stemming from your top-of-funnel campaign. On Facebook, optimize for Traffic and direct users to a specific landing page that will only be used to track these users. In the middle of the funnel, you will often want to create an offer that requires less commitment than your core offering. For a B2B company, something along the lines of a content download, newsletter sign up, or webinar typically works well in this phase. The idea is to get people in the door without scaring them away. Remember, while the end goal is marriage, it would be awkward to discuss your vows on the second date. For the final phase of the funnel, you will reel prospects in by utilizing the remarketing pixel from the designated landing page earlier in the funnel. You should set up a remarketing campaign on the Google Display Network targeting this audience. In addition, add that audience to your Google Ads search campaigns as an Observation audience with increased bid modifiers to ensure you are bidding up on these users. For the Bottom of The Funnel, you will present your core offer whether that is a Free Trial, Demo, or pushing users to buy your product. Make sure that your ad copy tells a consistent story across the channels so that your brand is easily identifiable. Take advantage of paid social marketing in order to build an efficient sales funnel and drive traffic to your search campaigns. Don’t silo yourself to one platform with your marketing strategy, but rather think about the ways you can unify it. 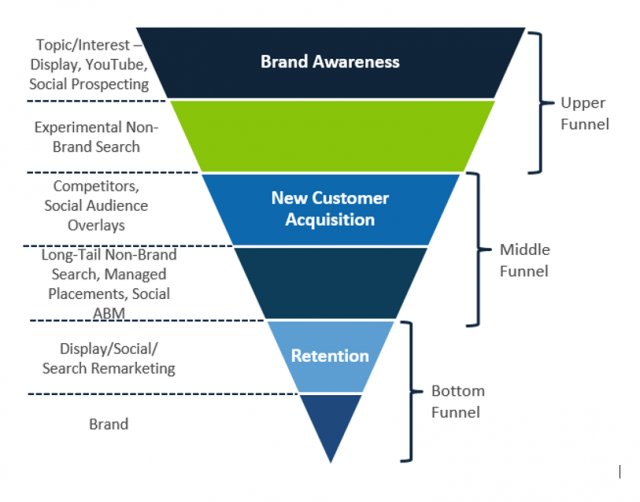 Contact us to learn more about our full funnel approach.